Gradually, over its long life, the tram has been further modified to keep up to date with modern trends. 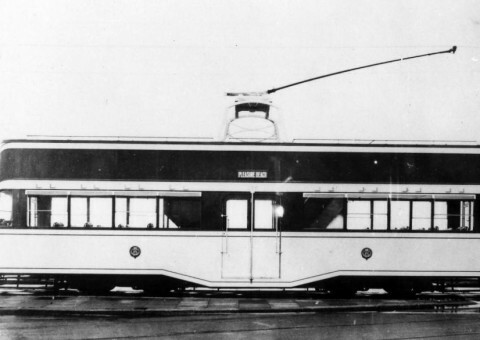 Its roof windows have vanished, a pantograph replaced the traditional trolley pole and itbecame the first of its type to receive fixed seating from a Routemaster bus in place of the swingover type. 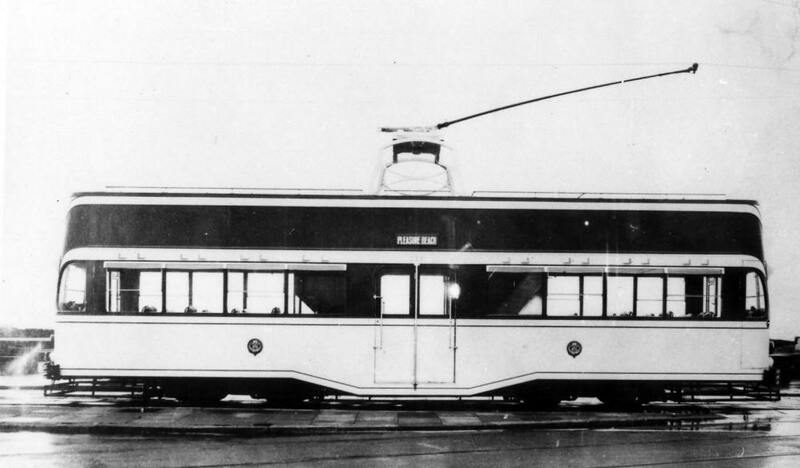 The green and cream fleet livery was also updated over the decades but this example was one of only a few Balloon Cars never to have been disfigured by all over advertising. In 1968 it was given the fleet number 708. In 2004, after running in Blackpool for seventy years, it was withdrawn from service in need of workshop attention. However, with the decline in passenger numbers affecting the amount of trams required, this was never undertaken. Instead, after use for a few years as a snowplough in the winter, it was sold for preservation, initially to a local group in Blackpool but eventually to the Manchester Transport Museum Society who run a heritage tramway through the grounds of Manchester’s Heaton Park. 708 departed Blackpool in November 2011 and, after storage in Bolton and Bury, arrived in Sunderland in July 2013 on loan to NEETT. It is intended to fully restore the tram to its original open topped condition when it will become number 245 once more.